See the Phoenix Nights star channel Mr. Darcy for the bread company. 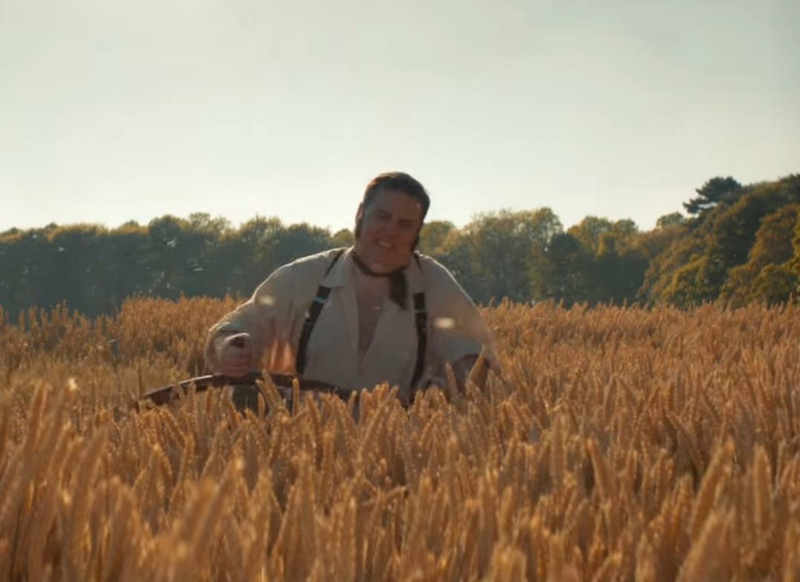 Peter Kay has starred in a hilarious new advert for Warburtons, where he takes on one of Jane Austen's most famous works. The Farnworth comedian gets into full-on Mr. Darcy mode for Pride And Breadjudice, which sees him tell go to Warburtons HQ to pitch an idea for an ad. More Poldark than Peter Kay, the legend shows of his skills with a scythe and even unveils his ripped torso (sort of). Halfway through his reverie, Kay even takes a call from his Auntie Barbara, who asks the company if they do garlic bread! They don't. The Car Share star even manages to squeeze in a Ghost reference, where he stands behind his leading lady to knead some bread. Kay does have a love rival in Barnaby from Leeds, but he manages to use his Lanacashire charm to win his lady over. He absolutely DOES NOT get wet for her though!